Someone asked me the other day why a couple would elope in a place they’ve never been to before. I wrote more about it in a recent instagram post, but the bottom line is, marriage is a new adventure and our couples love the idea of exploring a new place together as their way of beginning that adventure! 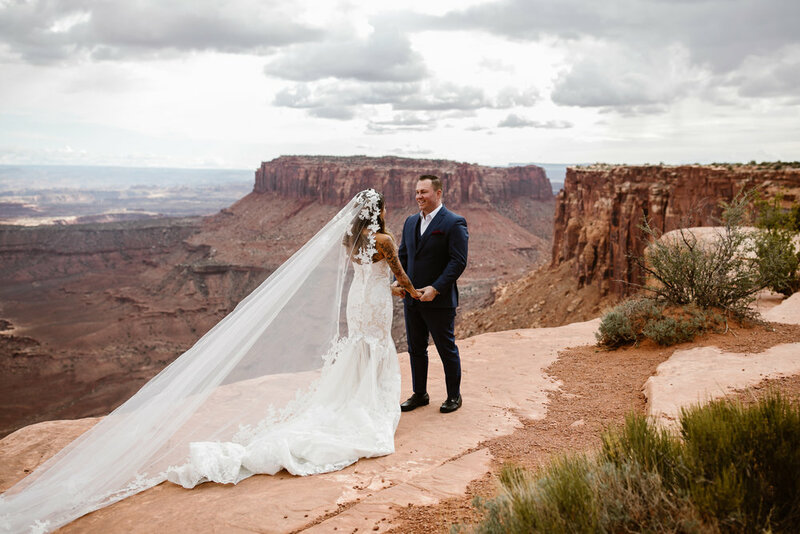 Oftentimes, our couples decide to elope because they want to forgo the traditional big wedding and do something different, so choosing to elope in a new destination, like Canyonlands National Park near Moab, is a perfect way to embrace that untraditional way of getting married! 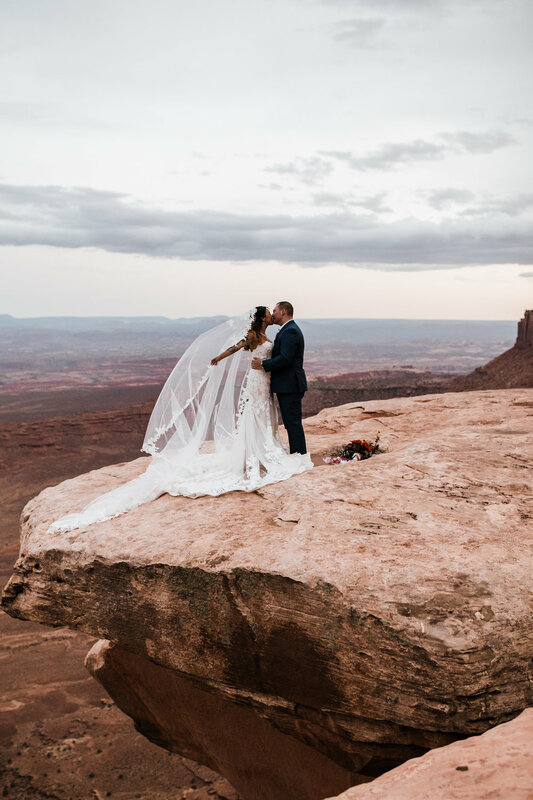 Samantha and Dan decided to have their wedding in Canyonlands because they wanted to include their closest family and friends. They wanted to get married somewhere epic, but still accessible for everyone involved. National Parks are a great place to do this because they’re often built with accessibility in mind! 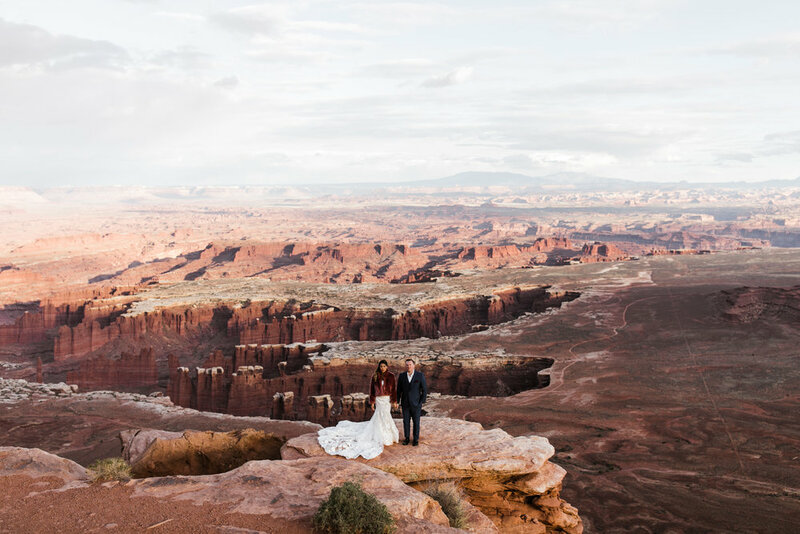 Of course, you can always hike farther and anyone who’s familiar with Canyonlands knows it has some of the most remote adventure opportunities of any National Park, but it also has some really amazing views just a few steps from the parking lot. 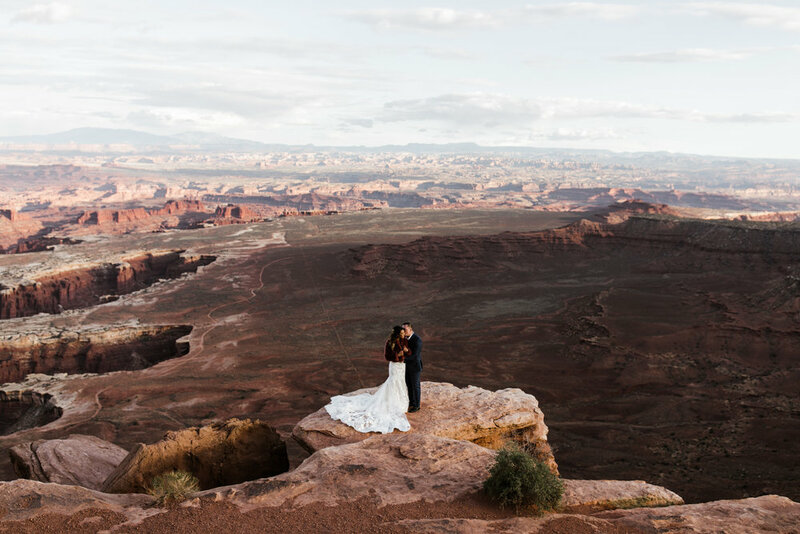 These two got married up in the Island in the Sky District of Canyonlands and it definitely lives up to it’s name! The way the mesa just ends and drops off in to miles and miles of epic Utah desert makes it feel like you really are on an island in the sky. Sam and Dan still wanted to keep a part of their wedding between the two of them, so they chose to read their vows privately before their wedding ceremony. They picked a spot off to the side to read their intentions and commitments together, then walked over to their ceremony spot with their family. 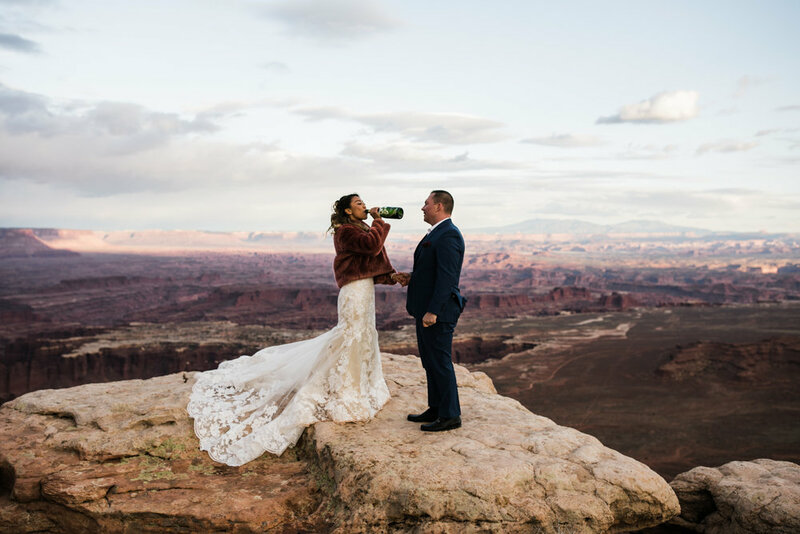 They had the sweetest ceremony full of laughs and tears, celebrated with some delicious champagne, and then went on an epic hike with us for sunset portraits. The clouds were absolutely crazy, and thankfully the rain in the forecast held off for us. 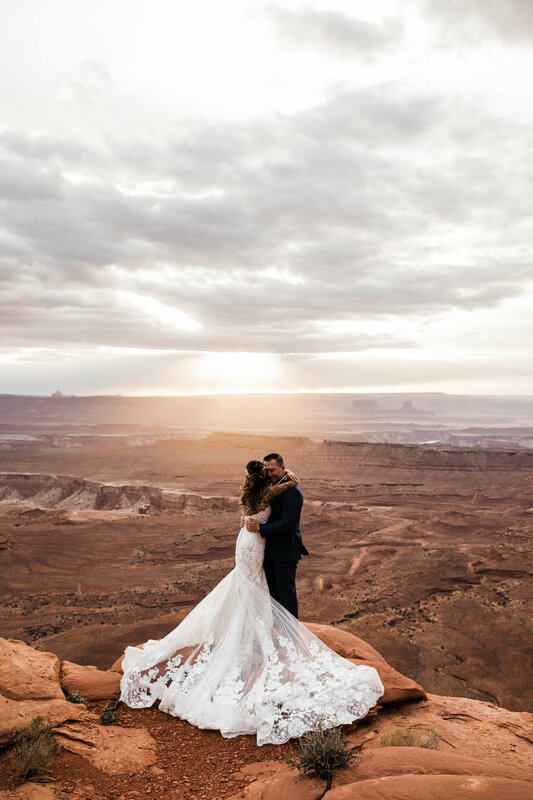 They got to watch their first sunset as husband and wife way up high above the Moab desert and take in every detail together with no distractions. It was such a beautiful day. We are so thankful to have been a part of it! 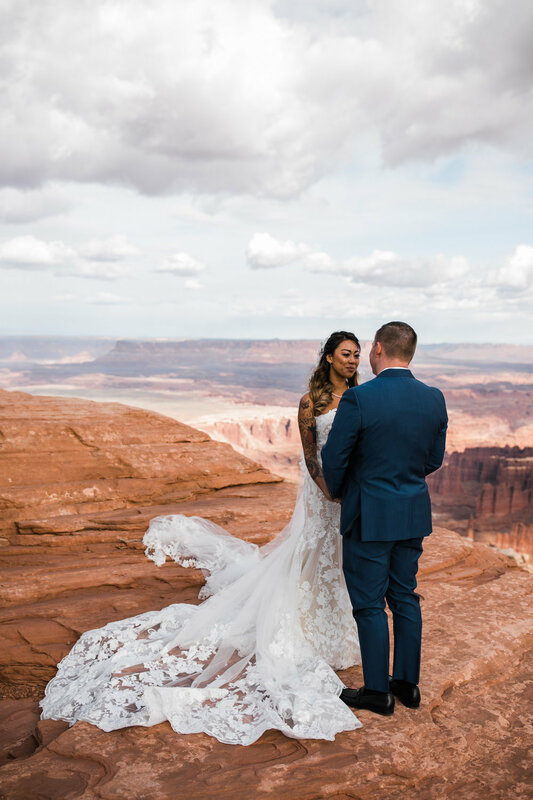 If you like the idea of an adventurous elopement but still want to invite some close family and/or friends, eloping in a National Park is a really good option! 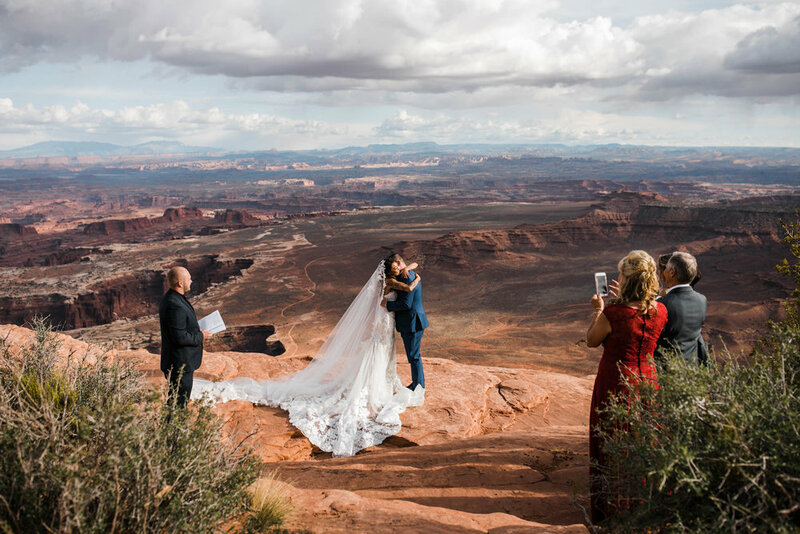 Almost every park has a list of ceremony locations, and almost all of the suggested ones are easy to get to and don't have very much hiking involved, some of them are even wheelchair-accessible. 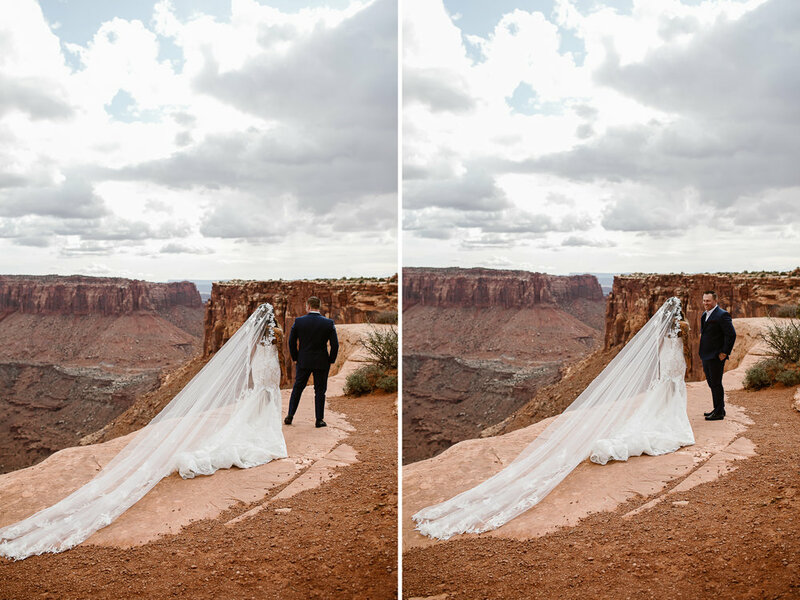 Sam and Dan chose a location that was a short hike to a rad overlook, so it felt adventurous for their guests, and allowed them to take some really epic portraits. 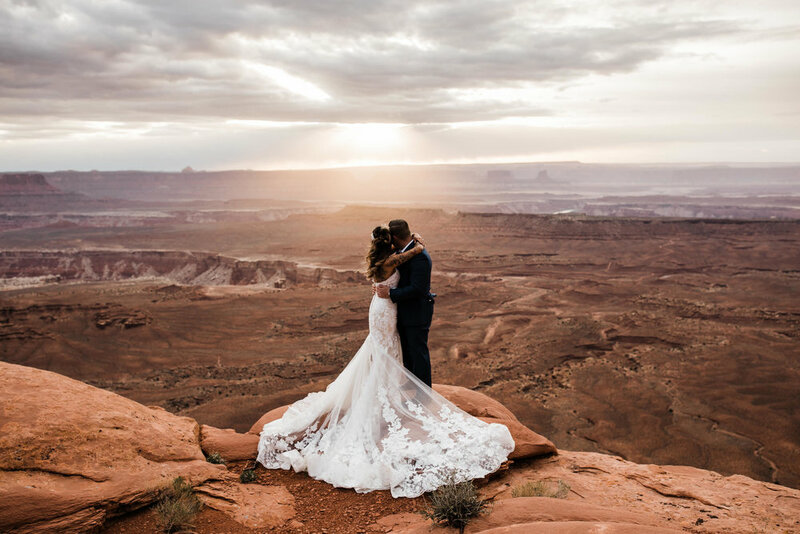 We're always happy to reccomend locations and can help you plan an adventurous wedding that is accessible for any loved one!